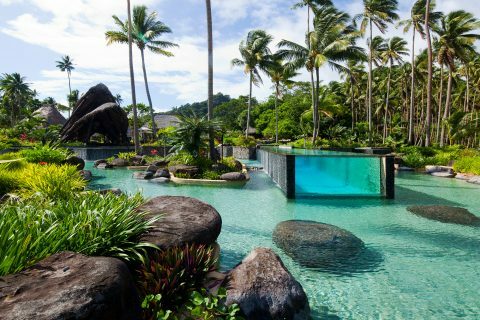 Formerly the Polynesian home of Marlon Brando, The Brando seamlessly combines luxury, technology, and nature. The eco-friendly resort sits on 200 acres of pristine tropical paradise but has only 35 thatched-roof villas. Each villa is beachfront, so you have complete privacy while you enjoy your private plunge pool and have direct access to the pristine white-sand beach. The opportunity to learn about nature. While The Brando offers the French Polynesia experience you would expect, you can also delve deeper into the natural setting. 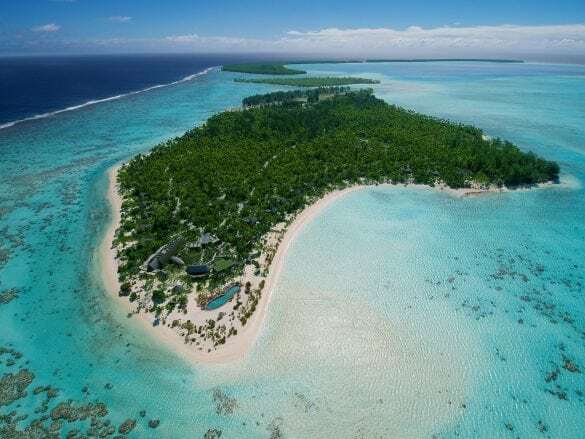 The Tetiaroa Society is located at the resort, and you can spend time learning about sea life, flora, and fauna from their experts. Exploring the island – on AND off the water. By land, cruise along the trails on your complimentary bike. By water, take a half-day boat tour (one excursion per day is included in the rate!). 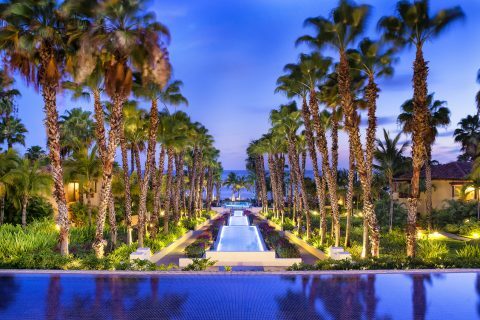 During the adventure, you can visit a protected bird sanctuary, stop at a freshwater lagoon, and snorkel in a coral-filled lagoon. 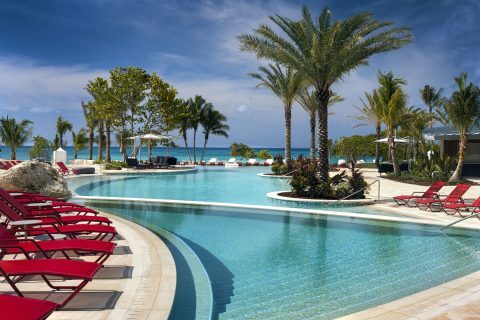 There are several restaurants and bars that offer fresh cuisine – and it is all included in your rate. Beachcomber Café serves breakfast, lunch, and dinner. Les Mutines is the fine-dining restaurant overseen by Guy Martin, a Michelin-starred chef. To enjoy a cocktail with a view, visit Te Manu Bar, the open-air bar perched on the second floor. And it wouldn’t be an island escape without a beachfront bar. Bob’s Bar is the casual spot for a refreshing beverage. You can now get a taste of The Brando in Bora Bora! 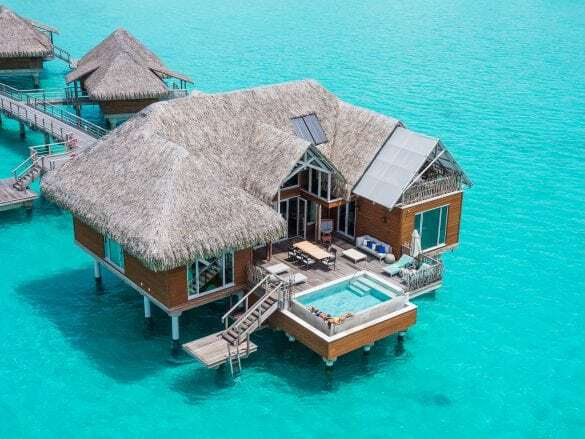 There are four Brando-branded overwater villas at the InterContinental Bora Bora Resort & Thalasso Spa that are perfect for spending a few nights before heading to The Brando. These spacious villas have two levels, huge outdoor terraces, amazing views, and the largest private pools in French Polynesia. 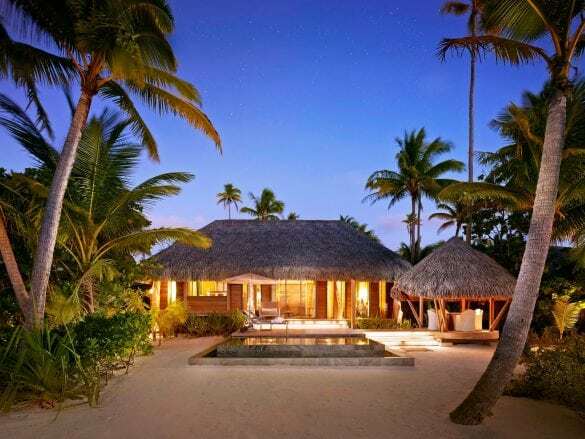 Though you may think of French Polynesia as only a romantic destination, The Brando is perfect for families. There are so many opportunities for little ones to learn about ocean life and conservation, plus there is a children’s club for ages 4-12. 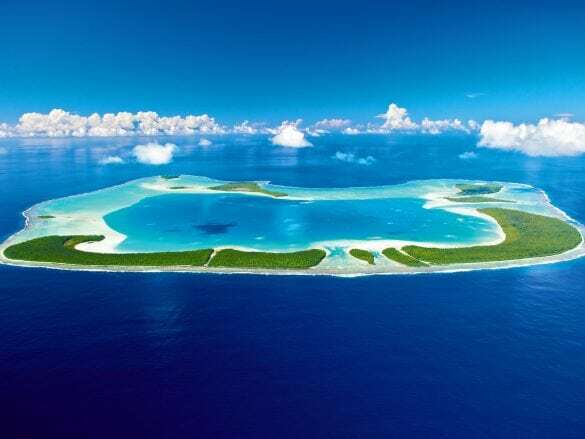 The Brando is located on an island in the gorgeous Tetiaroa atoll. The other islands (or motus) are privately owned but guests can exclusively visit, and all of the islands surround a lovely three-mile wide lagoon. Take a quick, 20-minute flight from Pepeete to Tetiarora via Air Tetiaroa. Note that you can only bring one bag that is 50 pounds or less and one carry-on that is 11 pounds or less (per person). The Brando is like an “ocean safari” – there is so much to learn about, see and do.